If I asked you to name one thing you’ve done this fall to improve your life, what might you say? No pressure. It’s just a conversation that interests me. Is there something you did, between today and September, that made things better for you or your world? As you may already know about me, I started this blog to explore taking tired things and making them better. I’m well versed on the topic of feeling burned out. I’d be the last to judge if you happened to feel lost or anxious or just plain tired. And I’d be first in line to cheer you on as you reclaim the sanity you may be seeking. This fall, one of my best life hacks came in the form of changing my perspective. This may sound simple, but for for a fixer like me, stress tends to kick me into auto mode. Once I enter this state, I jump from one problem to the next, solving and solving and solving some more. Left unchecked for too long, this relentess fixing turns to numbness. Over the past few years, I’ve learned to adopt new practices that kick me out of autopilot and shake things up. Sure, I’d heard these things before, but developing them into habits is what’s made the difference. When I actually slow down enough to follow them, as I have this fall, I sleep better, feel better, and am all around better to hang out with. For me, the key here is stop. See the tree below? It’s one of my favorites from this season. But I nearly missed the chance to capture it, much less notice it at all. I saw it out of the corner of my eye one morning as I drove to an appointment. As usual, I was in a rush. Punctuality isn’t exactly my strongest suit, and I routinely end up in a mild panic as I attempt to arrive somewhere on time. In this case, though, I had a few minutes to spare. I glimpsed the tree and badly wanted to stop and take a shot of it. Torn between my artistic voice and the clock, I drove all the way down the block before deciding to go for it. I turned around, parked (safely) along the road, scampered across the street, and snapped a few shots. When I made my destination on time, I was doubly appreciative I hadn’t missed out on fall’s fleeting beauty. Now here’s a scene just bursting to be noticed, heart shape and all. Had I not taken the time to stop the car, it would have passed me by. Unlike ripping off sombody’s work, riffing involves loving it, then creating your own distinct variation. In my case Instagram serves as a wonderland of inspiration. My account exists so I can surround myself with makers, dreamers, and entrepreneurs. No matter what I’m doing, I can always take a break and feel comforted by a running stream of color and possibility, in the form of other people’s photos. One that caught my eye was Scrapping Jackie’s selfie in green, which features a patch of grass surrounded by her shadow. Her caption made me chuckle, but something about the simple power of the image kept it lingering in my mind. Six weeks later, on a particularly sunny day, I saw the chance to take my own shadow selfie. Who’s to say for sure whether I’d have noticed this scene without having been inspired by Jackie’s? What I do know is that I thought of her photo as I stood and captured my own. For considerable insight on stealing like an artist, check out the work of Austin Kleon, who’s made a career of motivating people through this topic. This next shot captures a gang of ladies having enjoying brunch at a Brooklyn cafe. You might think we were a group of old friends, but in fact we’d met the evening before. Destined for sewing camp–yes, sewing camp–we flew cross country and opened ourselves up for adventure. Unable to find a flight that would allow me to catch the morning shuttle to camp on time, I reached out to Jennifer, whose name appeared on emails leading up to the event. Jennifer turned out to be the ah-mazing Jennifer Wiesen of Workroom Social, the camp organizer herself. I later discovered her boundless energy and commitment to making each and every one of us feel welcome. But at this stage all I knew was that she’d connected me with a group of other campers who were arriving the night before and had found a place to stay. Thankfully Marrie, Rebecca, Cheryl, and Lilly welcomed me into their 800-square foot Airbnb, where we ended up bonding fast. If you’d heard us laughing, you may have thought we’d known each other for years. Nope. I met all my tablemates the evening before. Over the course of the long weekend that followed, we took sewing intensives, crashed in bunks, hit the dining hall, and did camp activities like hikes in the gorgeous, fall-studded woods. Thirteen of us who’d selected the jean-making class got to learn from pattern designer Heather Lou herself. Lucky for me, Lilly was in this class, too. Check out her camp experience and see the jeans she made. Not every season of life has allowed me the time or money to attend such an experience, so I’m glad there are ways to take advantage of this practice without getting on a plane. So now I ask you: Do you have any practices that keep you in the habit of seeing a new perspective? I’d love to hear about it. If you’re anything like me, you want to create stuff. You’ve experienced the jolt of comfort that comes from making something that wasn’t there before. Blogging has helped me see that creators are all around us. Countless numbers of crafty people can’t help but share their stories with the world. This phenomenon inspires me, and my sewing wouldn’t be the same without it. 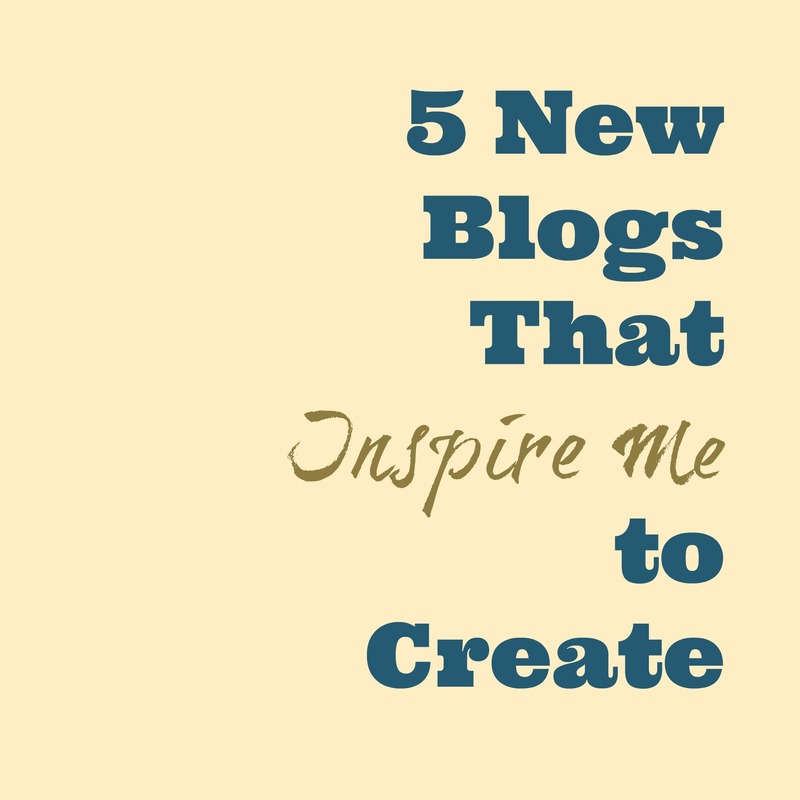 Now, I want to help encourage other new bloggers to continue their work. Hear how creation is done by a novelist, a DIY-loving mom, a bag-sewist, a list-maker, and a mixed-media artist. I hope their stories help you find some inspiration of your own. Enjoy! I’m captivated by Torn Apart. It chronicles the process of a historical novelist as she fleshes out a story based on events of a WWII couple whose survival depended on separation. Her research has brought her to Eastern Europe, led her to discover new books, and caused her to ponder the weather’s effect on her characters. I look forward to seeing where her muse takes her next. When I read my first post on Stoney Sews, I knew I’d found a kindred (bag-making) spirit. I’d just spent two months sewing a single bag, wondering repeatedly what compelled me to spend hours on each step. MissSarahAnne has an innocent-sounding name and makes her own barbie dresses. If you were to get the “dressmaking bug,” her warm tone would encourage you that making your own patterns is worth the effort. But don’t let all the sweetness fool you. This mother of two introduces herself with stories of childhood abuse, a heroin overdose, and the severe depression that has sometimes haunted her since. I appreciate the blog’s playful spirit, as evidenced by this recent foray into geocaching. When she gets to it, I’m ready to ready to hear this adventurer’s take on ziplining. Her piece shown in Deviant Blogging is just one of many tales her work tells of a small coastal town in Maine. I enjoy the undulating flow of art and words that come together throughout this blog. Well, I hope you, like me, got some new ideas from these creators. Now, let’s go out there and keep making new things of our own. It wasn’t till I reached my 40s that I truly understood how readily women’s voices tend to fall into the background. There are so many reasons for this–societal, personal, and often so subtle it’s nearly imperceptible. One goal of this blog is seek out ways for me to help women find their voices. As such, I’m honored to have been nominated for the Sisterhood of the World Bloggers Award! Elle Knowles For reaching out through proactive commenting. Seeing her avatar come up has helped me feel my own voice is being heard. I so relate to her lineup of projects, projects, projects, and I’m glad blogging is on her list. Lily Pups Life For sharing her stories of living with bipolar. Mental illness is everywhere, but we’re just on the cusp of being able to talk about it. For support, check out the National Alliance on Mental Illness (NAMI). Losing Screws For documenting her home-reno tribulations and helping us all understand things like how to switch out a doorknob. Bonus kudos go to her for the wonderfully amusing blog title. Quilt Musings For becoming the first follower to make me think, “An artist just noticed my blog!” One of my goals is to connect with fellow creators. Having a legit quilter click one of my links made my day. And her About page made me want to hear more stories of her perspective on life and art. Amy Sampson For speaking her voice through a starkly beautiful combination of photographs and their backstories. Peggy Polias For finding her voice through music composition. I was especially intrigued to read about her recent collaboration with a visual artist. Bittersweet Sensations For nominating me in the first place. As she herself recommends: Yes, let’s let go of those things we’re afraid of, and keep on blogging. Comment and let me know about female bloggers who inspire you. Well, I’ve broken a few of the rules. Even so, I may just find a way to incorporate the questions into another post soon. Who was your first crush and what did you like about that person? What is something about you that you’re most proud of? Where is your safe haven? Why? What is your favorite genre in movies? If you’d trade a talent with a friend, what would it be and why? Who is the person you like most in the world? If you could invent anything but a time machine, what would it be and why? Do you have a particular way of making someone feel you love them? I wanted a fun way for her to interact with visitors, who may or may not know what to say. It needed to be portable and small enough to fit on a hospital table. I also wanted to make a craft that would involve my parents, who flew in for a long weekend. It happened to be February, during a stretch of harsh weather, so indoor activities were a must. This is what we created. It’s a card game designed to spark conversations. Players build a path from start to finish by placing cards face down. (A short path for only a few minutes; longer if there’s time to spare.) Everyone puts his or her game piece at the start, rolls the die, moves forward, flips the card, and answers the question. The first person to reach the finish wins. Making the game turned out to be a bonding experience. Mom taught me some new stitches, and she and I made the felt pieces. Dad and I made the question cards. It took us several days, a few hours at a time. We sat by the fire, talked, and worked. Of course, we weren’t the ones who took R’s cancer away. She has her (mightily heroic) anonymous donor to thank for that! Her medical teams deserve infinite credit for guiding her through the procedures and recoveries. Her parents, friends, and community–2,000 miles from my home–are the strong ones. And I admire her more than she’ll ever know, for living through it all. Dad and I at the warming house of a nearby nature center. We made some cards there on a subzero afternoon. I like that these are handwritten. They reflect the personality of their writer. Even so, I’m grateful for for crafting. In this case, it was the only way I could find to contribute some small shred of love to a situation that sometimes felt insurmountable. Is there something you feel helpless about? Can you think of a craft that could become a way to contribute?